It’s time to go out for a great BBQ party with your family and friends. Of course, don’t forget to carry a handy tool for your grill such as the following 6-in-1 BBQ multi-tool. This is a multi functional and easy-to-use multi tool dedicatedly designed for any BBQ. The multi-tool measures approx 27 x 29 x 29cm, and as we can see from images, it look like a oversized pocket knife, but the integrated spatula exposes its real purpose. When not in use, the foldable design allows you to easily store it in your backpack for easy carrying. 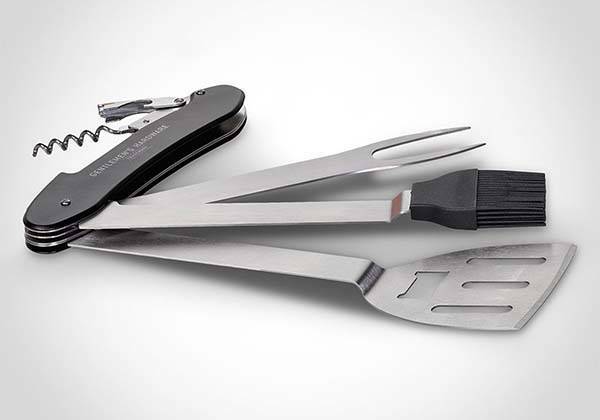 The BBQ multi-tool comes equipped with 6 practical tools including two bottle openers, a spatula, a fork and a grill brush. All the tools have been ready to serve your barbecue party. 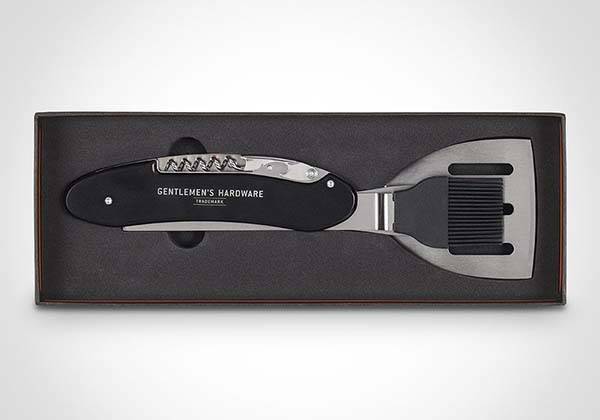 Furthermore, the multi tool is made from stainless steel for a solid and long-lasting construction, and its black matte finish delivers a comfortable and firm grip when you stand beside your grill. The 6-in-1 BBQ multi-tool is priced at £34.99 (approx US$45). If you’re interested, jump to RED5 official site for its more details. BTW, don’t miss the portable outdoor BBQ grill and more cool related gadgets by following tags.